From the Star Wars The Last Jedi collection by Hasbro. Star Wars The Last Jedi Bladebuilders Jedi Knight Lightsaber. From the Star Wars The Last Jedi collection by Hasbro. Star Wars The Last Jedi Bladebuilders Jedi Knight Lightsaber. 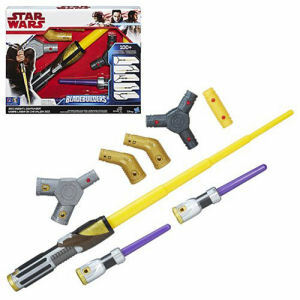 Combine with other Lightsabers in the BladeBuilders system. Ages 4 and up.